When containment is a priority, the pharmaceutical, biotechnology, and even chemical and food industries are turning to plastic powder transfer bags for their single use efficiency and cost savings. 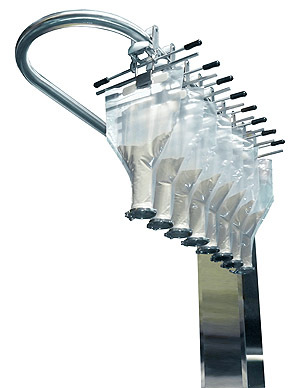 These flexible bags feature an ergonomic handle and tri-clamp inlet/outlet, and are designed for contained transfer of the bagged product to the receiving vessel. IEDCO has designed solutions to fill, discharge, lift, and transport these contained powder transfer bags. 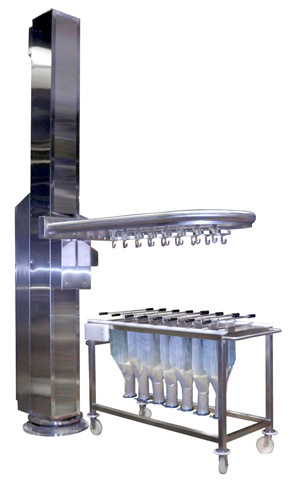 Our years of experience catering to the pharmaceutical industry make us a perfect partner for any project featuring this type of contained bag technology.